It is a phenomenon that is sweeping the world, posting record profits for Nintendo. 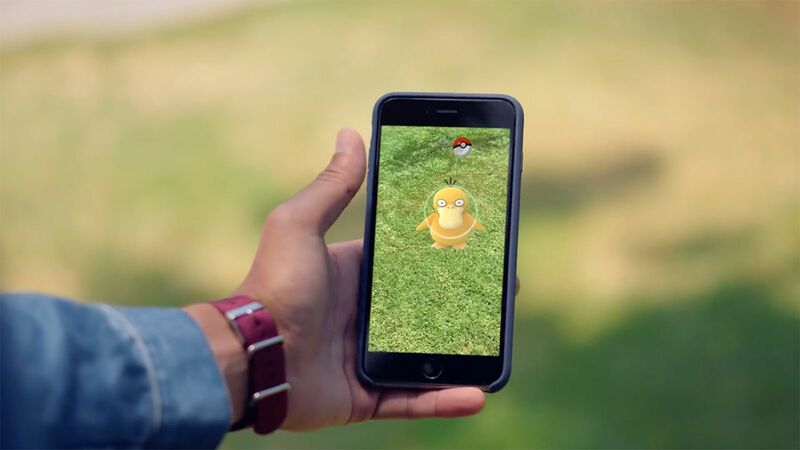 Pokémon Go has gone from game to craze in less than a week. But everything with the new game is not all Pikachu’s and Charmanders. The national mall in DC has asked player to refrain from the game at the monuments. Office park buildings have become training gyms and work place rules regarding playing in the office have already started popping up. One flyer posted on Imgur read, Save it for your break time or lunch. Otherwise you’ll have plenty of time unemployed to “Catch them all”. Whether you are a fan of the game or not, it does add to the conversation regarding social media and social gaming at work. The fast popularity of the game reminds us of the importance of creating clear social media policies in the workplace. Social media can be used effectively at work to convey thoughts from your industry experts but there is a distinct difference between social media platforms and social gaming at work. Social media policies are becoming standard in employee handbooks due to the increase in litigation and opinions on what an employee can and cannot express to the world on platforms like Twitter or Facebook. These policies are important to discuss with your employees so that there are clear expectations. HR folks might find themselves scurrying to write a quick addendum to their social media policies to include social gaming rules at work. Gaming can be distracting and unproductive to most businesses during the workday. Pokemon Go can be a release for your employees, but the general consensus is to make sure it is on employees personal time and that their game does not disturb or distract others in your office. One method to prevent disruption is to set up gaming boundaries with game approved zones during break times. The most important aspect of dealing with social gaming is communicating the difference and expectations between work time and personal time. Playing Pokémon Go is no different than employees partaking in games in offices that have pool tables or dart boards. There is a time and place for these things so long as the expectation of performance is clear and discussed. Open dialogues about the use of social gaming will solve more problems before those issues occur. There is a time for fun and games and a time for work. Make sure that you have communicated your expectations to your employees before the craze becomes an issue at your work. I don’t want to beat a dead Ponyta but communication between you and your employees is always key to creating a productive workplace. Sequent is here to help the small business extend HR to their organization. It’s hard to be an expert in everything as a small business. Why not leverage the assets of the subject matter experts of Sequent in a broad range of disciplines such as; compensation, benefits and HR best practices that otherwise would be cost prohibitive? Additionally, Sequent provides three mission critical technology applications, all which are “Best of Breed” to serve as the nucleus in delivering service to and supporting the employees of the business. Join Tyler Abrams, Business Strategist for answers to your questions! Please visit with your questions and concerns and have a discreet 1-on-1 conversation with the advisor of your choice. Please note this service is offered in different locations of the building on different weeks. It will be held on the first floor, in the welcome area, suite 190. (2nd and 3rd Thursdays of the month) and in the Metro Conference Room on the third floor (1st, 4th and 5th Thursdays of the month). Tyler Abrams is a business strategist and advisor in the field of Human Capital Management. He helps business owners increase productivity, reduce employment related liabilities and increase overall profitability by solving problems in the areas of Human Resources, Risk Management, Payroll Management and Benefits.